Shock resistance, drop resistance, and a rubber sleeve for added protection. 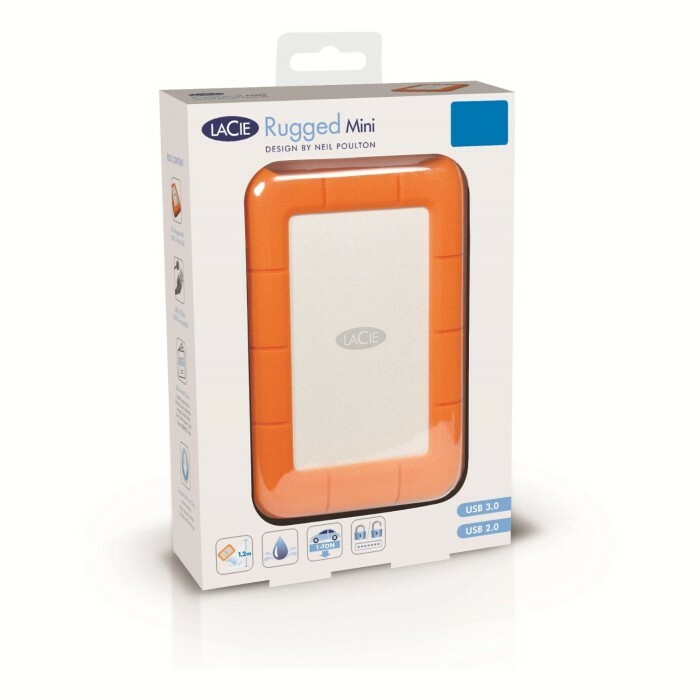 The LaCie Rugged Mini External Hard Drive is a rugged featured drive that not only keeps your data safe from external forces, but protects it from external intrusion such as shock resistance, drop resistance, and a rubber sleeve for added protection. The LaCie Rugged Mini is also rain and pressure resistant, meaning you can drive over it with a 1-ton car, and it still works. The in-built password protection software ensures that your data is protected and secured. The storage capacity of the drive is 2TB and it features an orange iconic design with amazing attributes that make it a perfect choice for on-the-go data transport. secure device that fits in a backpack. and transfering files quickly thanks to USB 3.0. LaCie Rugged Mini has got full compatibility with USB 3.0 and USB 2.0 enabling it to work with any computer. Using USB 3.0 port you can transfer 700 MB file in less than seven seconds, which takes 25 seconds if transferred via USB 2.0. This drive has all those features that are rarely found in other similar drives, however, some customers have reported about the loose USB connector that needs to be held while transferring data. Overall, the device has got 4.5 star rating from its customers. The device which also offers pressure, shock, and waterproof features makes it a reliable choice. However, one significant feature that is missing in this device is the warranty. With secure password protection software built-in, it's easy to make sure that your files are secure and protected, no matter where you go.